This entry was posted in Server, Web Server, WordPress and tagged centos, conf, config, equipment, hardware, linux, memory, network, operating system, php, server, software, system administration, update, upgrade, wordpress on May 8, 2016 by computermedicorg. 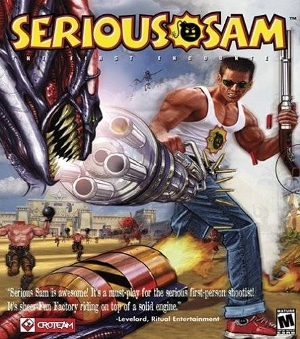 It reminds me of a level of Serious Sam – the one where 1,000s of those headless bomb-toting zombie-soldiers and screamers came pouring at you relentlessly, seemingly to infinity (and beyond). It was a backdraft. Or the eye of the Zombie-Nado-Cane. When the bad-bots got some air around August 5th – hak4umz.net DDoS or DNS Amplification – fail2ban (and the servers) got burned. Even the “eye-dee-keff-kuh-may” (TammyBelle’s God Mode Code for DOOM][ ) cheat didn’t help. fail2ban got clobbered… ‘already banned’ every one second in the log and no more bans happening because 100s or 1000s of times per second from 100s or thousands of bots: bad requests. This entry was posted in Networks, Security, Status and tagged already banned, bind, bot, centos, conf, config, configuration, ddos, DNS, fail2ban, firewall, iptables, linux, named, network, network security, rate, rate limit, rsyslog, server, syslog, system administration, zombie on August 13, 2013 by computermedicorg. The fun post title is the only thing fun about this. Unless you are in hosting, server admin, or run your own DNS servers this is going to be complicated, technical and boring. First [is first ~LK]: an apology to any “upstream” DNS servers that our pet zombie bots may have passed bad requests to. Like us, you probably didn’t know it was happening. Thousands Hundreds of thousands Millions Hundreds of millions of bad DNS requests. This entry was posted in Networks, Security and tagged bind, bot, centos, ddos, DNS, fail2ban, firewall, iptables, named, network, network security, regex, system administration, zombie on June 28, 2013 by computermedicorg.